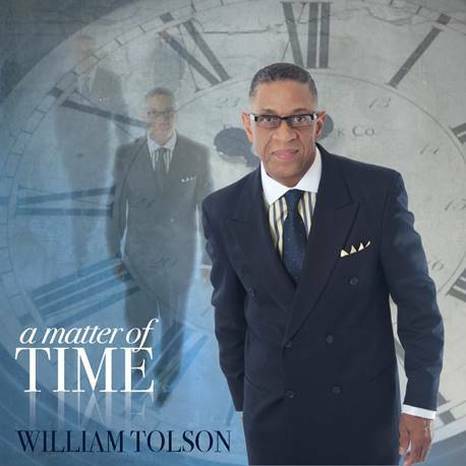 William Tolson is a guitarist, vocalist, and songwriter. It is a blessing when God smiles on someone and bestows the gift of music. For William, that gift has been overflowing! The first gift granted to him was the ability to play the guitar. He gave it back to the Lord by using it to worship Him. At the age of 14, he started playing the guitar at church. William had a zest for music and began singing in various church groups. One of the church groups he participated in was a locally known gospel quartet, The Harmonizing Five. Membership in this men's quartet, holds a special place in Williams's heart. As a young adult, William took on the role of choir director for the church’s Young Adult Choir. Today he serves as the church’s Minister of Music. Over the years, William has been dedicated to his musical service to the Lord. That dedication was rewarded with the gift of songwriting. His gift as a guitarist and songwriter has lead him to develop many musical compositions. Those compositions lead to the recording of six albums. Recent recordings include three instrumentals and three choir albums. The latest instrumental album entitled, "Renewed" is a continuation of the inspiring hymns of the earlier released albums "Lifted" and "Expressions". The instrumental albums features William's gift as an accomplished guitarist. The "Lifted" album was a must recording based on the overwhelming support from the "Expressions" album. Enthusiastic admirers of the earlier instrumental yearned for another guitar instrumental. William Tolson's guitar performance is a style that is uniquely his own. William's melodious guitar playing appeals to all age groups and diverse religious backgrounds from traditional to contemporary music lovers. Youngsters have been known to do their homework listening to his instrumental albums. Others have spoken of how this music ministry delivered them out of a state of depression from the loss of a loved one. William's musical talents extend beyond that of an accomplished guitarist. His talents as a songwriter are showcased on two of his latest choir albums entitled, "Bring A Praise", featuring the AFC Voices of Praise and "Lord We Praise You", featuring the AFU Mass Choir; a community choir that was formed and directed by William. William recently stepped to the forefront as a featured vocal artist in his latest released single, "It’s My Prayer". He shares the lead vocal performance with Pastor DeCarlo Coley. This single brings together William’s love for both quartet and choral music. William is dedicated to performing routinely as a guitarist and director for his church choir, the AFC Voices of Praise. The choir has sung and inspired many over the years. Noteworthy are appearances at Luther Barnes North Carolina Fall Gospel Classic and the Bobby Jones Gospel in New Orleans television show (Aired on The Word Network – July 2008). William Tolson and the AFC Voices of Praise are pleased to be the 2008 1st Place Winners of the 12th Annual North Carolina Fall Gospel Classic, and 2010 2nd Place Winners of RT Productions 1st Annual Workshop and New Artist Showcase. William's music ministry extends beyond the church doors into the community. He performs for the homeless, at benefit concerts for cancer, and hunger fundraisers. Highlights of William's musical ministry include the opportunity to perform as a guitarist on the Queen Mary 2 cruise ship and 2013 appearance on the Great American Gospel TV program. It is William's hope that through his music, spirits will be uplifted. It is his prayer that his music ministry will lead the world to Christ.